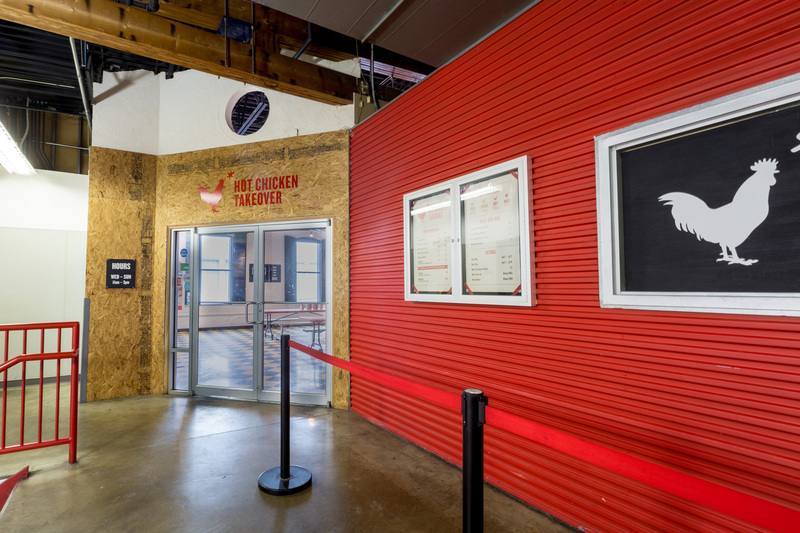 Hot Chicken Takeover was an interior renovation on the Second Floor of the North Market. This was a unique opportunity to reuse salvaged materials, with a unique look. The space contained many custom design elements, including custom built cabinets and locally sourced pallet wood. We added new walls to create extra storage and office space, and redesigned areas of the line to make the operation more efficient.